New York Times Bestseller: A rogue terrorist in Northern Ireland prepares to assassinate the pope in this thriller from the author of Rain on the Dead. Trained by the KGB, the assassin known as Cuchulain has been wreaking havoc throughout Northern Ireland for over two decades, leaving a trail of bodies in his wake. Now he has set his sights on his most audacious target yet: the pope. Desperate to stop the terrorist, British Intelligence enlists an enemy Irish gunman, Liam Devlin, to accomplish what it never could. He must put an end to Cuchulain’s reign of terror, once and for all. 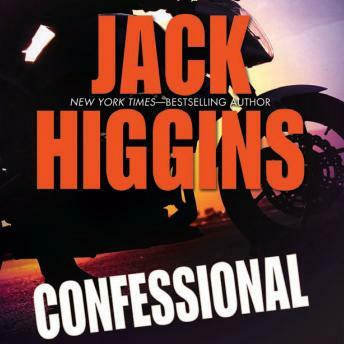 From the man Tom Clancy called “the master,” this action-packed tale of international intrigue and espionage shows why Jack Higgins’s novels, from classics like The Eagle Has Landed to the long-running Sean Dillon series, have sold more than 250 million copies.